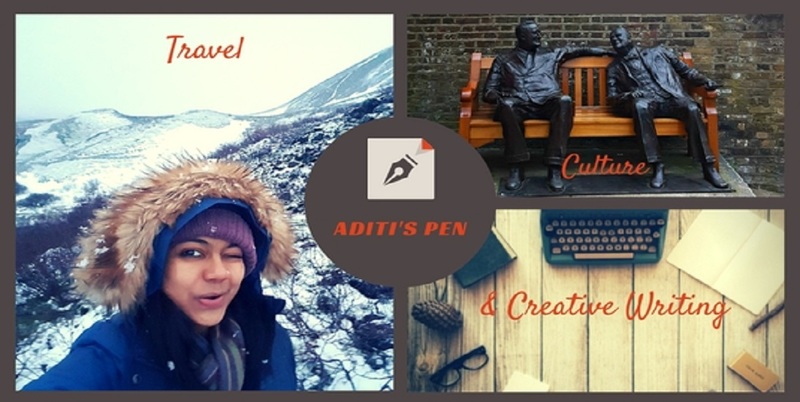 Aditi's Pen: Why I Blog? I have more confidence in the writer me, than myself, so I ask her, "Do you remember why we started blogging?" To Be Yourself - Yes, when I started blogging I was in a space in my life where pretensions and feeding others expectations, was slowly getting to me, sucking life out of me. I have always been my own boss, at times too stubborn at that. Ask my dear parents and my sister, who saw the uglier side of this my-life-my-way-my-will attitude. From that to becoming a person who had to bite her tongue and not express openly how she feels, was difficult. 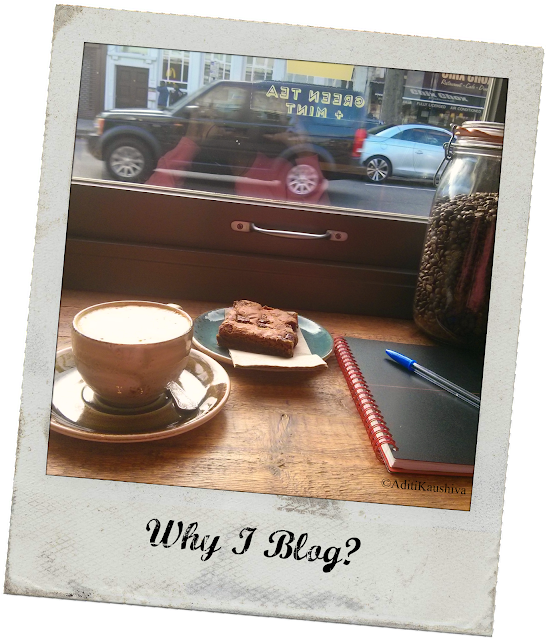 So I started blogging to keep myself happily distracted from my surroundings. I started blogging to be myself again and to heal. makeitbeaYOUtiful was thus born with the simple belief in mind that only YOU can inspire the change you want, so get started with it! "But that phase has gone and how! But we still love to blog, don't we?" 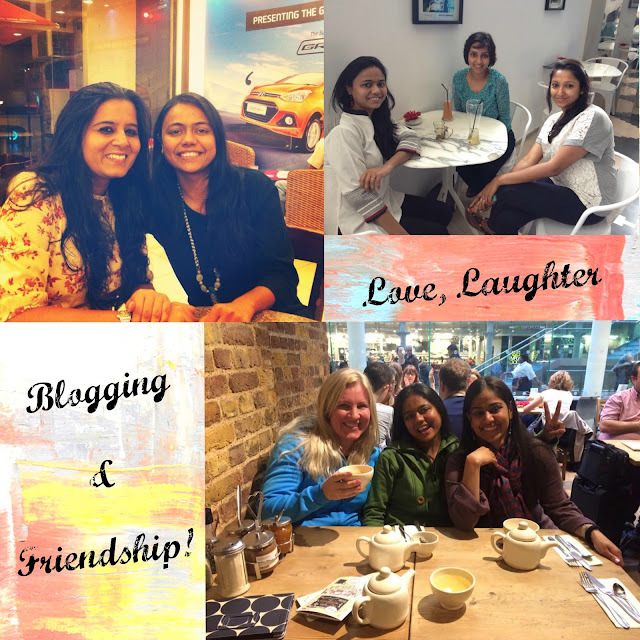 To Connect with like-minded Bloggers - Over the years, I have forged lovely relationships with like-minded bloggers. I read them and feel an instant connection. Be it their musings, their rants or their fiction, poetry or travel posts - their writings inspire me. They provide a sense of community, and I know I can turn to them asking for their honest feedback and critique not just on writing but other aspects as well. I have been lucky to meet few bloggers in person as well, and we hit it off instantly. Didn't we Richa, Sakshi and Sugandha, Sulekha, Monica and Eli? I am also grateful to be a part of few fantastic blogging groups, such as B-A-R and @blogchatter, which nurture this sense of blogging community and camaraderie. I blog now, to stay connected with these lovely bloggers, get inspired and learn new things from them. To Share my love for Travel, Food and all things Beautiful - I blog to share my travel experiences, my foodie obsessions and life musings, making memories along the way. I blog for the love of it, I write when inspiration strikes and I write to spread cheer! And that's Why I Blog! I walk home merrily, in the night sky (It's only 5:30pm) still talking to myself, thinking about the future of this blog, about the novel in writing (I'm at 7360 words, need to catch up if I want to reach the 50k goal! ), about the dishes that await me and the dinner that I have to cook. I too lost hope now :( But it helped get started at least! Reason 2 is the main reason I blog. I like connecting with people and blogging is an easy way for me to do it since I have a hard time talking to people face to face. I discovered through blogging the diverse people we befriend. We are only richer to have met so many like minded people. All the best for the novel. Haha...same here...this month has been so good in terns of blogging and all because of these prompts! It was good getting to know you better through this. Blogging sure is a great medium to connect, and I can't even begin to describe the many wonderful things that it has brought into my life. Thanks Shanaya! :) Blogging has given me so much too. Aditi your posts the weave magic... they put me in a happy place. In a place I want to be in. Girl you are seriously talented and I am so happy you are attempting to finish that manuscript, you deserve it..